My profile pic is a pic of the Hall Rig across the lake from Rana Brian Subdivision, where I live..
Olympia Well on Marthaville/Many Rd. Can anyone tell me something about a well site staked on the Marthaville/Many Rd. 3 miles North of the Cedar Grove intersection? Anyone have any knowledge of upcoming drilling activity in this unit? Does anyone have information on why the leasing and drilling activity has stopped moving east of S33, T16N, R8W ?? I haven't seen a new unit east of this point is quite sometime. I hear of seismic activity as far east as Ashland, is there anything to it? I own 125 acres in section 33, 16n 13w and after royalties from the first well on the unit (run by camterra) produced scraps, I recently noticed a second well was being placed on the unit. Can anyone tell me if this is a horizontal well and if so mightl the amount of gas produced be significantly higher than the first. 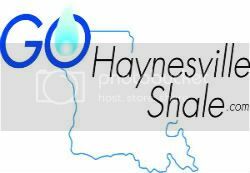 Just recieved a letter from attroneys of SAMSON CONTOUR ENERGY informing me that are creating 2 addional drilling and production units for Cotton Valley Formation and Haynesville Shale in Sec.8-10 W- 10N. I only own 1 acre- that has never been leased. Anyone else been contacted. If I read this correctly also includes S-5-10-10 and Sec18-10-10. I am a newbie, I know the survey and number for 4 separate tracks of land. Just have mineral rights. How do I go about finding out where this property is located. Cabot oil is wanting to lease. I have total 862 acres. They are offering $1000. per net mineral acre with 1/4 royalties. What do you think. Help!! !